AntiCancer, Inc. of San Diego has reported that stem cells similar to those found in the brain and in hair follicles promote the growth of peripheral nerves in a 3-dimensional culture system in vitro over periods of 2 weeks or more. AntiCancer spokeswoman Charlene Cooper said the ability to grow nerves in culture that is promoted by stem cells that normally reside in the hair follicle should enable the production of pre-grown nerves of individual patients to repair nerves and damaged spinal cords in the patients in the relatively near future. 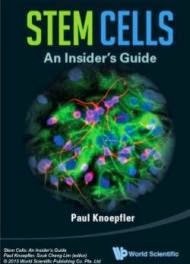 This is very exciting as these stem cells are readily accessible in hair follicles and do not have the cancer-causing and ethical issues such as iPS and ES cells currently being developed for regenerative medicine. AntiCancer, founded in 1984 and based in San Diego, has developed the leading mouse models of cancer including MetaMouse(R) and AngioMouse(R) . These models are made imageable with AntiCancer's OncoBrite(R) technology using fluorescent proteins and are the models of choice for novel drug discovery for cancer. AntiCancer is also developing new cancer drugs based on genetic engineering that target cancer-specific metabolic defects. AntiCancer is also developing tumor-targeting bacteria. The company markets recombinant-enzyme-based diagnostics for cancer and cardiovascular disease. AntiCancer offers the Histoculture Drug Response Assay (HDRA) and patient-derived orthotopic xenografts (PDOX(TM) ) for individualized cancer treatment. AntiCancer pioneered hair follicle gene therapy and is now pioneering the use of pluripotent hair-follicle stem cells for regenerative medicine for nerve and spinal cord injury.